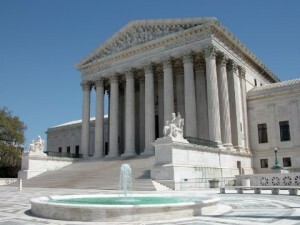 The Supreme Court, in a case heard by eight Justices (Justice Kagan recused herself), has issued its decision involving the admissions policies of the University of Texas. In a 7-1 decision, the court sent the case back to the Fifth Circuit Court of Appeals because that court did not apply the legal standard of “strict scrutiny.” In short, “strict scrutiny” means that whenever a governmental entity, in this case the University of Texas, uses race as a reason for its actions, that kind of policy must be very closely scrutinized since it is inherently suspect. Abigail Fisher applied for admission to the University of Texas but was rejected presumably, in part, because she would not add to the racial diversity of the campus since she was white. She claimed that she was denied the opportunity to compete on an equal basis for admissions and that the university violated the equal protection clause of the Fourteenth Amendment to the Constitution. This is not the first time that the University of Texas has come before the court. In 1946, a black applicant, Herman Sweatt, sought admission to the University of Texas Law School. He was rejected because of his race despite an attempt by the University of Texas to create a separate law school for blacks in order to avoid admitting him. The case went all the way to the Supreme Court and in 1949 the court struck down Texas’ racial-based policy. Now, 67 years after Sweatt, the court in Fisher was again dealing with the University of Texas over its admissions policies. But ironically, this time the issue was not the excluding of applicants because of race, but the affirmative including of students because of race. What did the court do? What should it have done? What the majority opinion in Fisher did was to regard the reasoning of three earlier cases “as given for purposes of deciding this case.” Those earlier cases were the University of California v. Bakke, and the two University of Michigan cases, Gratz v. Bollinger and Grutter v. Bollinger. When Justice AnthonyKennedy and six others looked at those cases, which contain the current law on the subject of race and admissions, they concluded that the Fifth Circuit Court of Appeals had failed to strictly scrutinize university policies in a way required by the those cases. Now, the Fifth Circuit must apply strict scrutiny when it comes to admissions policies of the university which had used race in its admission decision. So the majority opinion is therefore a kind of technical remand of the case to the lower Circuit Court. What should the high court have done? It should have followed the reasoning of a fine concurring opinion by Justice Clarence Thomas. Justice Thomas states clearly “that a State’s use of race in higher education admissions decisions is categorically prohibited by the Equal Protection Clause” and that “every time the government places citizens on racial registers and makes race relevant to the provision of burdens or benefits, it demeans us all.” Thomas stands firmly against the assertion by the University of Texas that its discrimination is “benign.” “I think the lesson of history is clear enough,” he wrote. “Racial discrimination is never benign.” Courageously, Thomas continues, “There can be no doubt that the University’s discrimination injures white and Asian applicants who are denied admission because of their race.” In the process, such a racially motivated admission policy “stamps [blacks and Hispanics] with a badge of inferiority. It taints the accomplishments of all those who are admitted as a result of racial discrimination.” Moreover, those minority students who were admitted on the basis of merit cannot be distinguished “from the ones whose race played a role in their admission.” Therefore, their admissions and their achievements are tainted as well. The answer that the court should have given, and which it may still give, is the answer Chief Justice Roberts gave in an earlier case when he said that the way to stop discrimination on the basis of race is to stop discriminating on the basis of race. Dr. John A. Sparks is dean of the Alva J. Calderwood School of Arts & Letters at Grove City College, Grove City, Pennsylvania and is a fellow in Educational Policy at the College’s Center for Vision & Values.